At Provincial Meadows we carry out domestic garden maintenance. 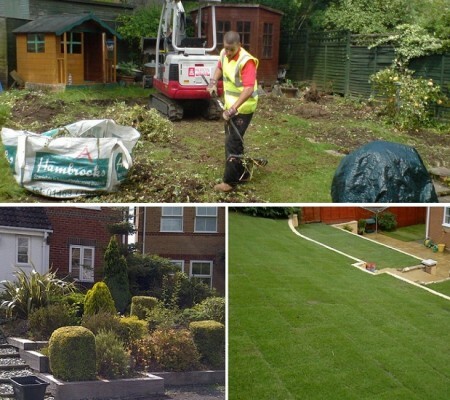 Our policy is to provide you with a reliable landscaping service where the work is done to your requirements and within budget. We also provide a professional hydroseeding service, spraying grass and binder to help grass grow in unstable areas. Starting a new lawn by hydroseeding is considerably cheaper than laying turf and quicker than using seed. It promotes quick germination and inhibits soil erosion. We offer a flexible service to suit the client whether they require fortnightly, monthly or occasional visits we can accommodate. We have a wide range of regularly maintained modern machinery and equipment which all our staff are fully trained in handling which gives us the ability to provide a first class, efficient service. Provincial Meadows endeavour to maintain competitiveness in the market but avoid doing this at the cost of quality. Our company has over the years found quality suppliers for our materials, locally and country wide. This helps us to maintain a standard of work we are proud of at a reasonable price.